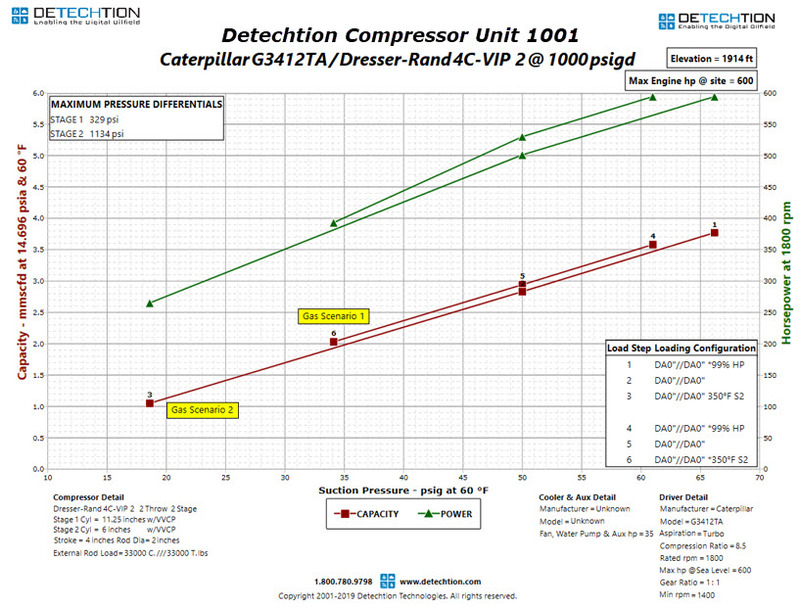 By now you probably know a thing or two about compression, and how factors such as compression ratio and volumetric efficiencies can affect your compressor performance. Another factor that is less talked about but equally important is the composition and molecular weight of the gas being compressed. Natural gas is composed of a mixture of hydrocarbons (methane, ethane, propane etc.) and various other impurities (water, carbon dioxide, hydrogen sulphide and nitrogen). Together they affect the overall molar mass and specific gravity of the field gas. Molar mass is simply calculated by multiplying the percent composition of each component by its molar mass and adding them all up. Divide this then by the molar mass of ambient air (28.89), and you get the specific gravity of your field gas. The horsepower required to achieve a certain compression ratio. The temperature rise due to compression. The hydrate formation temperature and pressure. Each compressor model in Enalysis is tailored according to the actual onsite conditions. In many cases, the sales gas is used simultaneously as fuel gas to run the engine and by knowing the exact gas composition, we can accurately calculate the available driver horsepower and how much horsepower is required to create custom solutions (curves, simulations and start-up packages) to any condition. Below, we’ll take a look at an example of what impact an outdated gas composition can have on your compressor. The 2 different gas compositions below closely mimic the change of the gas from a single well over time (from Scenario 1 to 2). It is common that as a well becomes depleted, heavier gases and liquids can begin to mix in. The figure above shows the min/max curve of a double acting unit simulated with both gas scenarios. 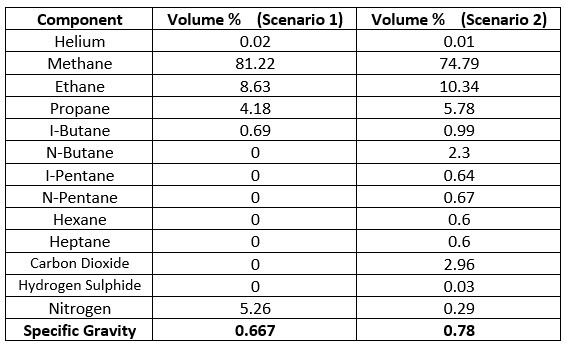 The operating suction pressure and flow capacities are outlined in the table below. As we can see, simply by accounting for the change in field gas as the well depletes, we can further optimize this compressor to move 0.2 mmscfd of additional flow or alternatively reconfigured to pull on the field at a much lower suction pressure. Additionally, when using these 2 gasses for fuel gas on the Caterpillar G3412TA , we also found a 20 HP engine de-rate difference between them. Furthermore, when comparing the stage 2 discharge temperatures of both curves at 50 psig suction, we see roughly a 10% difference in temperature where blow-by and valve damage can potentially be hidden from operators, leading to further loss in production or risk of more significant damage occurring within the compression cylinders. Individually this may not seem like much, but when you consider the affect this kind of customization can have on a fleet of 30 compressors, the change can be much more significant to your overall compression operations.